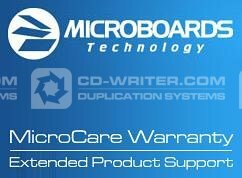 MicroCare from Microboards offers the added insurance for your Microboards product in the event of a hardware failure. Should a problem arise, we want you to take comfort in knowing you can have a new unit up and running in about 48 hours. By purchasing a Microcare Rapid Replacement contract, you are guaranteed superb service, and in the event of a return-to-factory repair, Microboards will cross-ship you a new or like-new replacement unit so that you will be up and running within 48 hours, saving you time and preventing loss of profit. MX-2 . Microcare . 1 . year . Cover . MicroBoards .